Rotersand is a German electronic music act, formed in September of 2002 by Gunther Gerl (Gun) and Rascal Nikov with producer krischan wesenberg joining shortly after. Prior to working in Rotersand, Rasc and Gun had collaberated together on other projects. 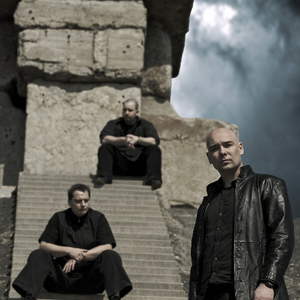 Rotersand's music can generally be described as futurepop but with influences from styles such as progressive trance and techno. Releases by Rotersand have reached high positions in the German Alternative Charts, the Nordic Alternative Charts and the Dutch Alternative Charts. Releases by Rotersand have reached high positions in the German Alternative Charts, the Nordic Alternative Charts and the Dutch Alternative Charts. The band has also toured with Assemblage 23, has played at Dark City Festival and played Infest in 2006. They also accompanied Covenant on their Skyshaper tour, also in 2006. In 2009, they went with VNV Nation on their Of Faith, Power and Glory tour.